Discovery Channel founder John Hendricks recently invited us to discover and experience Gateway Canyons Resort & Spa in western Colorado. 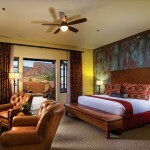 Cradled in the shadow of the Palisade rock formation and fringing the Moab Desert, this, the world’s first and only discovery resort, was created to nourish guests’ curiosity through intellectual stimulation and adventure within a naturally intriguing environment. As someone who has traveled around the world and stayed at a wide array of unique places, I can say from experience that Gateway Canyons is really out of this world. 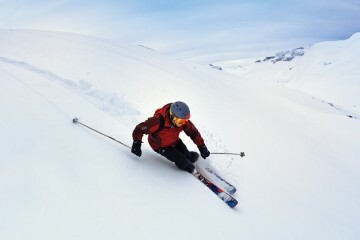 Boasting luxury accommodations and breathtaking views, it effectively caters to the most discerning traveler. 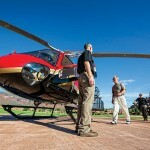 The wellness-focused treatments at the Spa at Gateway, private tours aboard a luxury aircraft, privileged access to more than 100 years of automotive history at the Gateway Colorado Auto Museum and a variety of self-selected experiential activities offered through the curiosity adventures program, are just the beginning of the options available. Even if you don’t want to spend too much time relaxing because of the impressive list of lifetime experiences offered, you must stay in one of the Palisade Casitas which comes with your own private butler. 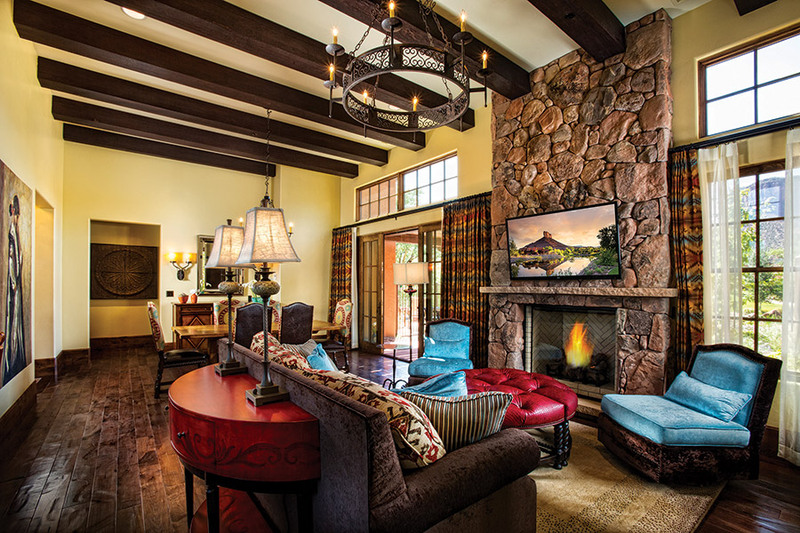 Set apart in tranquil seclusion on the resort grounds, each casita offers the ultimate private retreat. 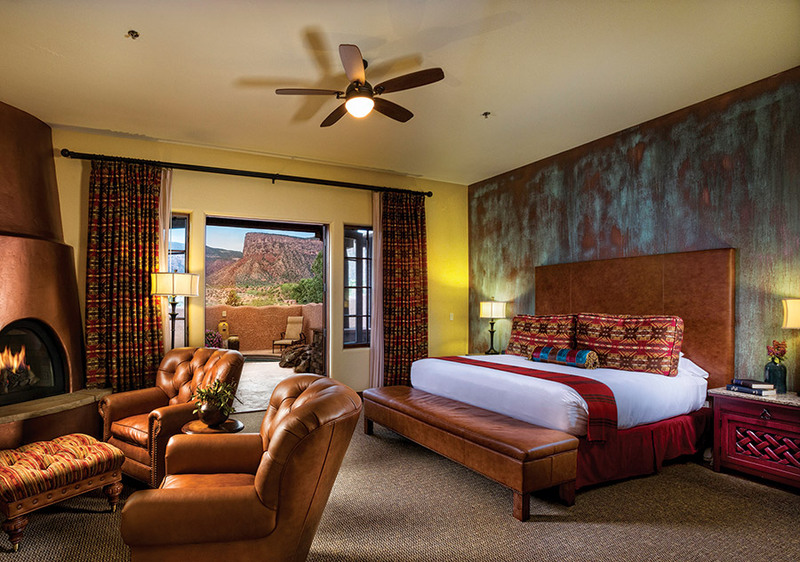 Custom artisan furnishings and hand-carved doors from Peru blend seamlessly with one-of-a-kind rugs imported from Turkey and custom-designed textiles created to reflect the crystal blue skies and turquoise shades that are ubiquitous with the American Southwest. When it comes to the culinary side of things, here, they shine as well. 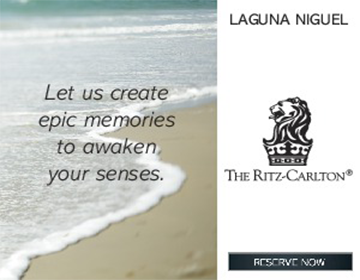 With four dining options ranging from white linen to casual, you are sure to be satisfied. Enjoy a meal on the Entrada Restaurant patio under the shadow of the Palisade. Executive Chef Stephen Belie seamlessly delivers savory regional dining options featuring items like the unique Jurassic Shrimp, which is imported directly from the coast of Nigeria and the Local Wild Game Sausage. All dishes are executed to perfection and served alongside a nice selection of wine, featuring favorites from Colorado. Rock climbing, hiking, mountain biking, horseback riding, rafting and fly-fishing are all included on the long list of sporting activities offered at Gateway Canyons. During my stay, I also flew on the resort’s Cessna Caravan and the Eurocopter AStar which has been beautifully appointed with leather seats and a luxurious interior. 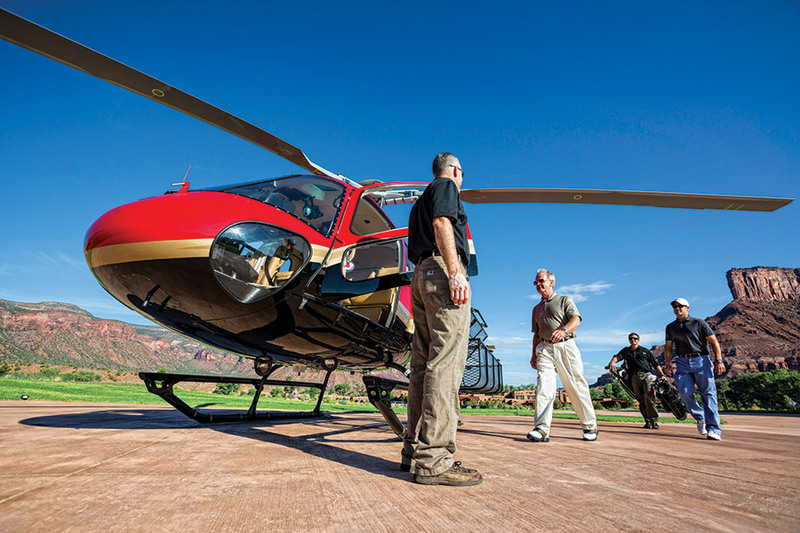 This was an exceptional opportunity to discover Colorado from the air and take in the majestic beauty of the Rocky Mountains while learning about the fascinating lore and legends of the American West through stories told by Gateway Canyons’ expert pilots. Created with the auto enthusiast in mind and hosted exclusively at Gateway Canyons Resort, Driven Experiences is located on the Unaweep/Tabeguache Colorado Scenic Byway. 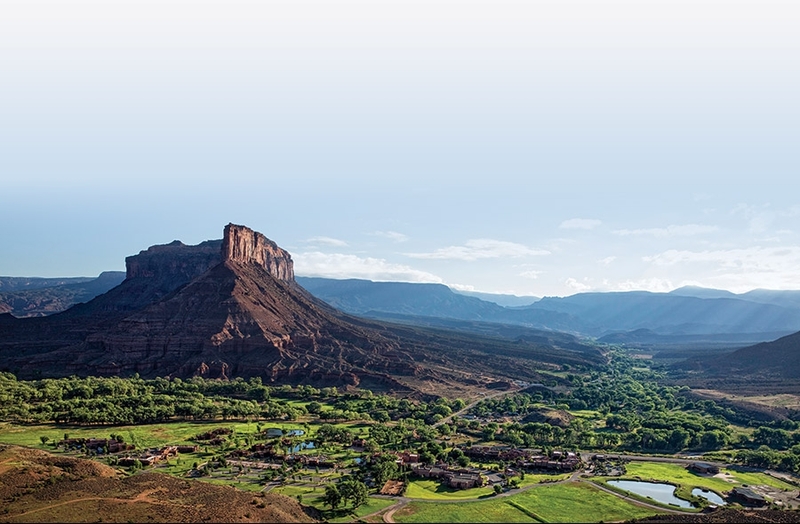 This spectacular 133-mile long road runs around the Uncompahgre National Forest and along the Dolores River from Grand Junction, through Gateway and beyond. I personally navigated the open road behind the wheel of their newest Bentley convertible, one of the luxury resort’s fleet of high-performance vehicles, and pushed the envelope of off-road adventure in a Pro-Baja racing truck. Don’t say anything, but there are no police on duty on this road . . . yet! There is much that could be said, but one thing is for certain — Gateway Canyons Resort & Spa is simply amazing, and, quite frankly, rather addictive. The level of hospitality and knowledge of the staff is extremely impressive and the Resort Director, Rudy Sharp, is the most passionate resort leader I have ever come across.